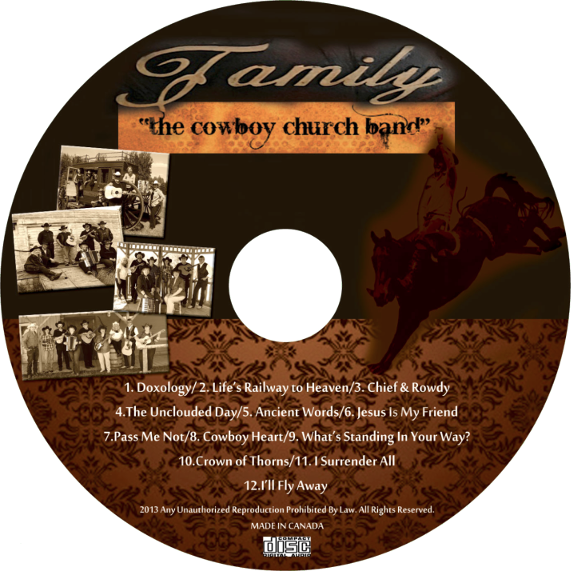 The cowboy church band leads worship at Friday night services and at a variety of events sponsored or supported by "the cowboy church". You can hear their music on many of the recordings on this site, or on their new album, "Family". Yes, we finally got an album recorded! 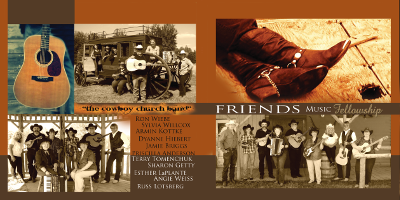 It features some of our favourite hymns, done up country style, as well as original tunes by Russell Lotsberg and Ron Wiebe. Drop by a service some Friday evening to purchase a CD, or download a tune or two from iTunes , Amazon or many other online music stores.